So you just had your brand new glass elevator installed; the only problem is, it's a little bit smaller than you anticipated. 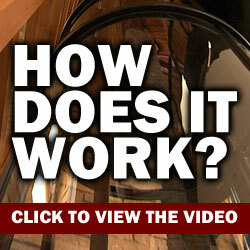 How can you maximize space in order to get the most out of your little glass elevator? Here are some tips to get you started. Open Space – First of all, install your elevator in a room that has plenty of open space. If you cram your already-small glass elevator in a small room, it will look even smaller. 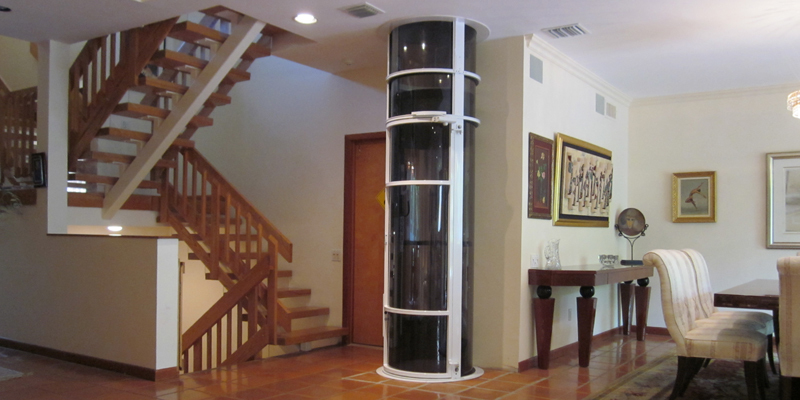 You don't want a limited-capacity glass elevator competing with space in your home or business, so try and find an open foyer or living area where you can install the elevator. 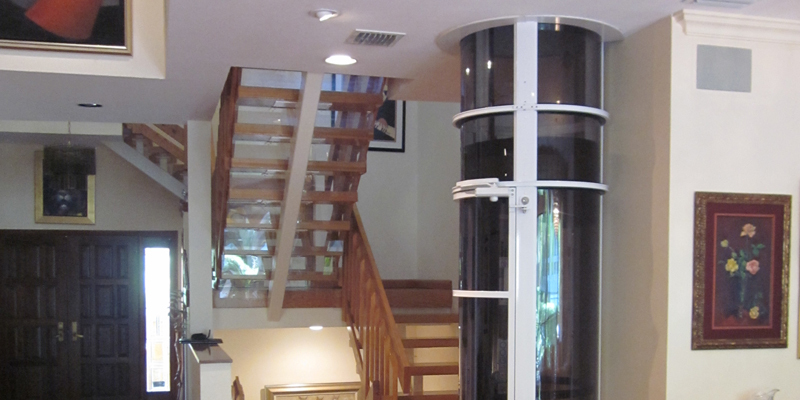 With plenty of space around it, your new glass elevator will look bigger and be easier to use. This is especially important if you're a wheelchair user. While your elevator will be accessible, it might be more difficult to board than a larger model. By having the loading areas free of clutter and furniture, you'll find boarding and de-boarding will be much easier. Take Your Time – Here's the deal: If your new elevator is really too small to hold multiple passengers comfortably, you might have to ride one at a time. For residential elevators, this may not be a problem, especially if you live alone or if other persons in the house don't plan on using the elevator, but for small businesses regulating elevator usage, it might be more of a challenge. Signage and verbal communication should keep customers and employees from overloading the elevator. Wheelchair Users – For wheelchair users, you might have to invest in a smaller wheelchair, all depending on how easy it is to board and de-board the elevator. While all glass elevators are wheelchair accessible, a smaller model may not be able to accommodate a large or more luxurious-style wheelchair. That being said, you may need to invest in a low-profile wheelchair for around the house or office use. Advertisement – We've discussed installation, we've talked about weight capacity, and we've also suggested the investment of a smaller wheelchair. Another thing you can do to maximize elevator usage is use it as advertisement space. Simply line the interior or exterior walls of your glass elevator shaft with advertisements to boost brand recognition. If space is limited, and a small glass elevator was the only one that would fit, why not utilize the space it is using and kill two birds with one stone?